How can I move-out the lease? 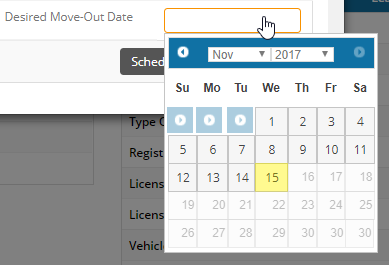 Click on the "Move - Out" button from the top list, It will throw you a pop-up tab. We also do provide you the option to Prorate the amount if he moves earlier than the desired date and has paid up-front. 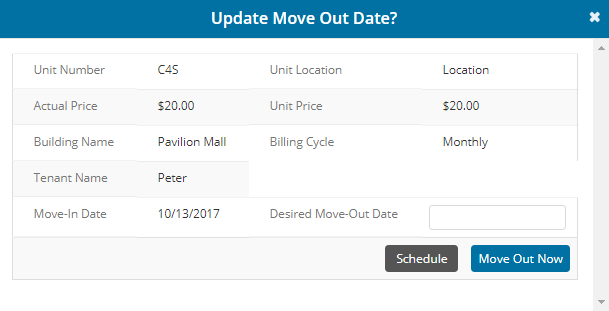 Finally Clicking on the Move Out Now button throws a pop-up message to reconfirm the move out. Finally you will get a confirmation on the move-out alongside the options to download the receipt and invoices or quite send it through an email. However you also have the option to Move-out a tenant without receiving any payments from him/her, by this the unit becomes vacant but the tenant still remains as a due Tenant. To do this simply hit on the "Pay Later and Move-Out now option" this then throws you a pop-up to reconfirm the same. Simply hit on "Yes" to proceed.